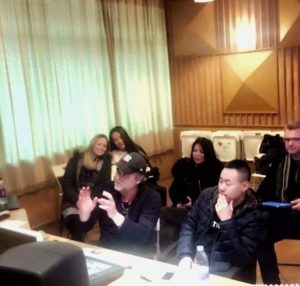 In February I visited China and Beijing to record a new song written by Kjetil. 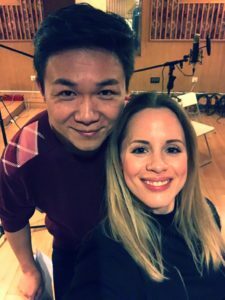 The song is best decribed as a beautiful duet, and I was so lucky to perform the song with the great tenor Chuanyue Wang. He has a beautiful voice, and was a perfect choise for the song! The english lyrics was translated into Chinese, and I must say- it was not easy to sing in a language that (still) is not very familar to me:) But challenge accepted and I love how the song turned out!